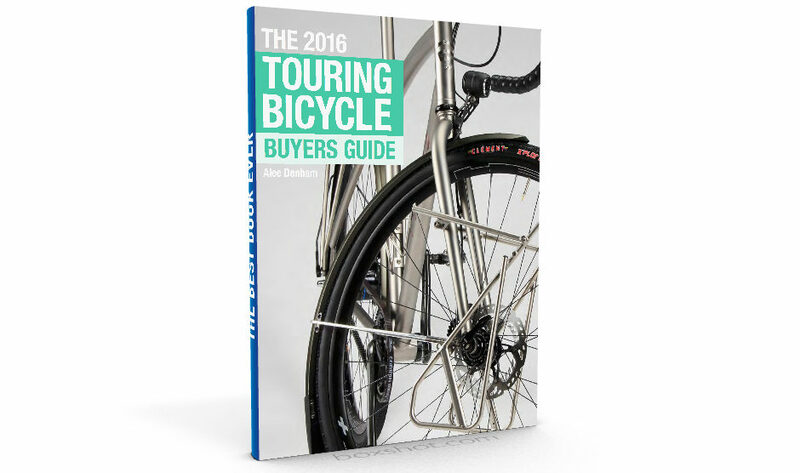 The 2016 Touring Bicycle Buyer’s Guide is Now Available!! After a few years of researching, testing, sketching and working out how to best present information about touring bicycles – I’ve finally come up with what I think is the best way to understand bikes the way I do. For the last six months I’ve worked tirelessly to write about, in simple terms – the most important characteristics of touring bikes. I’ve been in contact with dozens of manufacturers to obtain information that is not publically available. I’ve spent days calculating different measurements, gearing and steering speeds to allow people to make the most informed decisions possible. 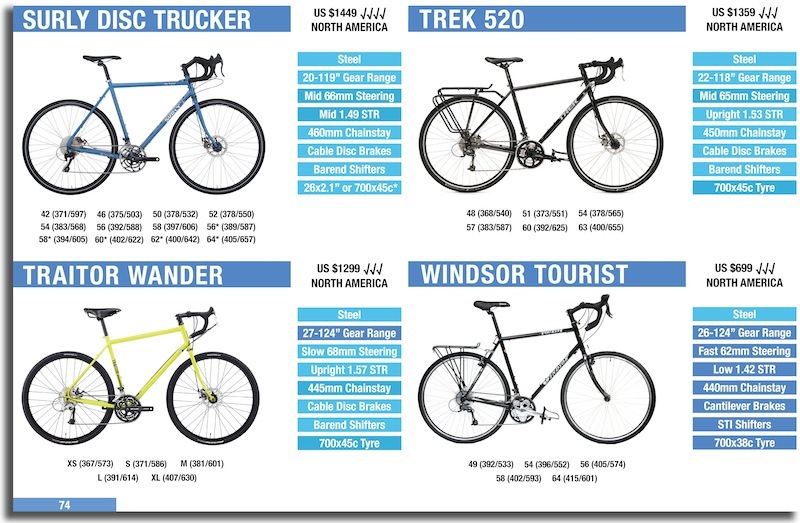 The 2016 Touring Bicycle Buyer’s Guide features over 75 different touring bikes that you can compare in detail. It will be updated yearly at no charge, to reflect any changes in models, specifications, sizing and colours. In the future, you’ll find that more manufacturers will work with me to make this guide even more comprehensive! Since the inception of CyclingAbout, I’ve noticed that manufacturers keep a watching eye on the site. Many things that I’ve been advocating to change, like frame geometry, specification and design – have been recently updated within the industry. It’s been such a great journey watching touring bikes evolve for the better. When you support resources like The 2016 Touring Bicycle Buyer’s Guide, you allow me to continue providing awesome free content on CyclingAbout so that more people can travel by bike. How great is it that through the power of the internet, more people can see the world like we do!? If you have the time, I’d really appreciate any feedback you can provide to make this guide even better. I can’t wait to see how this guide evolves over time, as I love finding out about so many different new bikes, innovative technologies and ways to travel by bike. 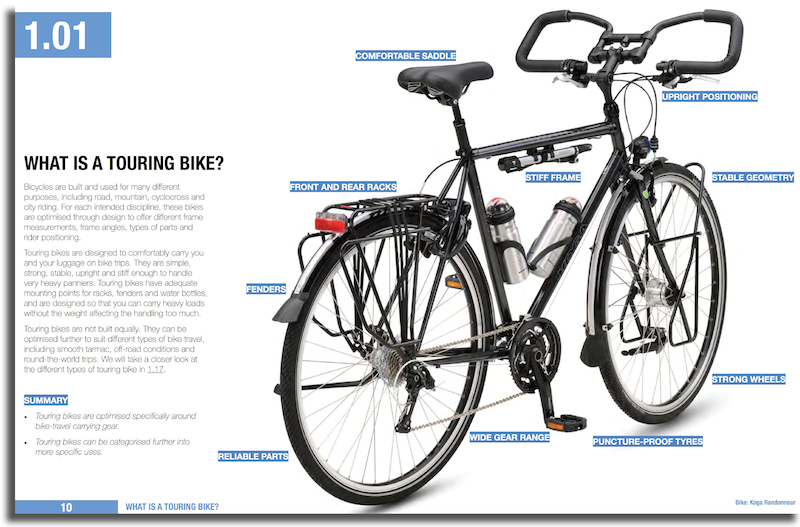 Head through to the Bicycle Touring Buyer’s Guide to get your copy.